High Desert State Prison (HDSP), the largest prison in Nevada, housing some 3,500 inmates, has been on total lockdown for 4 days, and will remain so for at least two more weeks. This means that we will receive no yard, tier, phone, canteen, or access to any reading material. Why is HDSP on lockdown? Because in a single week there was two "staff" assaults, and at least 8 fights. But the pigs are doing nothing to investigate the cause of the violence. For example, that the temperature of the cells was reaching at least 90 degrees. While we have no cold water to drink, and are forced to be housed with individuals we do not get along with for up to 21 hours a day. And there is nothing for us to do: no programs, work, games, etc. We are literally trapped in cages like animals. So how does HDSP deal with the violence? They enhance the inhumane and deplorable conditions by locking us down. Most of us do not have televisions, and with no access to any library we sit in a cell and twiddle our thumbs. Violence and anger can only be expected as a result of such conditions. However, comrades, we must recognize that we do not win when we direct this anger and frustration towards each other. Our focus must be on targeting the administrative policies which are responsible for our current state of existence. There is already a grievance campaign underway challenging OP516, the level system. And comrades from the United Struggle from Within in Nevada just started a new grievance campaign in regards to AR801. AR801 is a programs AR that states that Ad-Seg is to receive a minimum of 3 hours out of their cell, and closed custody inmates are to get a minimum of 5 hours out of their cells per day. This same AR lists a ton of programs which are approved by the Nevada Department of Corrections (NDOC). The bottom line comrades, HDSP under Warden Williams has failed to implement any rehabilitative programs. The violence, anger and frustration is his and his administration's fault. We must heed the USW call for peace and unity and challenge the administration's policies. We need all of you to file grievances challenging these policies. But even more important, we need you to have your family and friends to call the office of the director and ask why HDSP prisoners are being denied all access to rehabilitative programs, school, and work. Have them call 702-486-9938 and complain. Until then, comrades, do not allow your anger and frustrations with the pigs to be misdirected toward one another. MIM(Prisons) responds: The United Struggle from Within comrades in Nevada are doing solid work organizing and educating folks in that state. 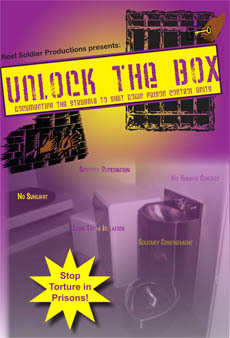 They have set a good example of initiating targeted campaigns that could improve the lives of many prisoners. This is a good way to get folks participating in the struggle in a concrete way. But we must remember to tie these battles to the broader struggle against the criminal injustice system, and imperialism. If we don't make these connections, we are misleading people, letting them think that these campaigns alone are all that is needed to change the system. And we know that's not true! We know the injustice system won't be reformed into a system of justice. It is rotten to the core because it is serving imperialism, which exists off the oppression and exploitation of entire nations of people. The wealth and power of the imperialists and even the "middle classes" is not something those folks will give up without a fight. Let's follow the example of the Nevada USW comrades, and build important campaigns relevant to each prison and state. 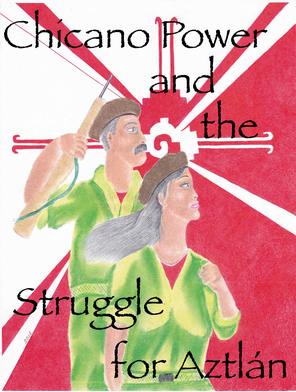 And always keep our work in the context of the anti-imperialist struggle. So that makes me visionary. This would actually seem scary. So I stress it to my family. So I must not be weak. So it's the youth whom I guide. I'll most likely have to die. Is how I shall approach thee. A Revolutionary Soulja I shall be. Where did I come from you ask? While the rest of the world did not. While the rest of the world knew not. Of great art and rich culture. Which were symmetrical to the sun. Which has been here since the beginning of time. Benito Juarez, and Emiliano Zapata. Telling me to go back where "I" come from? My civilization was founded on the very earth we stand on! You and your people go back to where you come from!